Road crashes are a leading cause of death for tourists in every world region, yet until now road safety has received little attention from the tourism industry. We organised a dedicated half-day session within the Sixth Global Meeting of the Global Alliance of NGOs for Road Safety in Chania, Crete this week to put the spotlight on road safety and responsible travel and tourism. The aim of the session was to raise awareness of the importance of road safety for tourists and tourism development, influence road safety public policy, and promote active cooperation of all relevant stakeholders. The event included the launch of our report on tourists’ perceptions of road safety in Greece based on a survey of almost 1,500 international tourists visiting Athens, Chania, and Thessaloniki in 2018. The work is a collaboration between Make Roads Safe Hellas, the National Technical University of Athens, the University of Macedonia, the University of the Aegean, the Hellenic Open University and EASST to examine the relationship between tourism and road risk. The study reveals that almost one in five visitors experienced a safety critical incident on the roads during their stay in Greece. Moreover, two in five tourists surveyed admitted to feeling less inclined to follow the traffic code while driving in Greece, and 1 in 8 drivers admitting to drink-driving during their stay. Most shockingly, this number increased to 1 in 5 (20%) for drivers under the age of 25. Road infrastructure and accessibility was another issue, with more than half of all tourists believing that pedestrian infrastructure was unsafe, and particularly unsuitable for people with disabilities. Tourism in Greece is very important to the local economy but, as the report shows, tourists visiting Greece are more at risk on the roads compared to the local population. In many cases their perceptions of road safety have a negative impact on their overall travel experience. The report sets out recommendations for enhancing safe and accessible tourism. The recommendations are proposed as a basis for consultation with stakeholders at all levels – including international bodies such as the United Nations World Tourism Organisation, national and local government, tourist agencies, hoteliers, transport providers and tourists themselves taking personal responsibility. Grigoris Archontakis from ERIA Travel, on accessible and inclusive tourism. As the session concluded, Saul Billingsley of the FIA Foundation put forward a joint Communication on Road Safety and Responsible Tourism on behalf of EASST, the FIA Foundation, the Global Alliance of NGOs for Road Safety and Make Roads Safe Hellas. The Communication calls on all tourism sector stakeholders to sign up to specific actions to enhance safe and sustainable tourism. 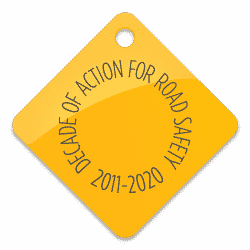 Going forward, Make Roads Safe Hellas hopes to gain momentum from their study and build support for the establishment of a Safe Tourism Network to ensure that road safety for tourists and travellers is given adequate attention, not just in Greece but across the globe. This report on tourists’ perceptions on road safety in Greece is based on a survey of almost 1,500 international tourists visiting Athens, Chania, and Thessaloniki in 2018. The work is a collaboration between Make Roads Safe Hellas, the National Technical University of Athens, the University of Macedonia, the University of the Aegean, the Hellenic Open University and EASST to examine the relationship between tourism and road risk.